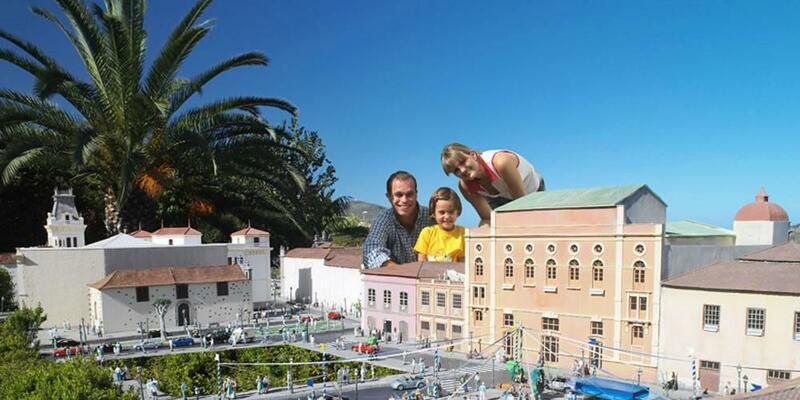 You will come into a miniature world, your dreams will never be so big! 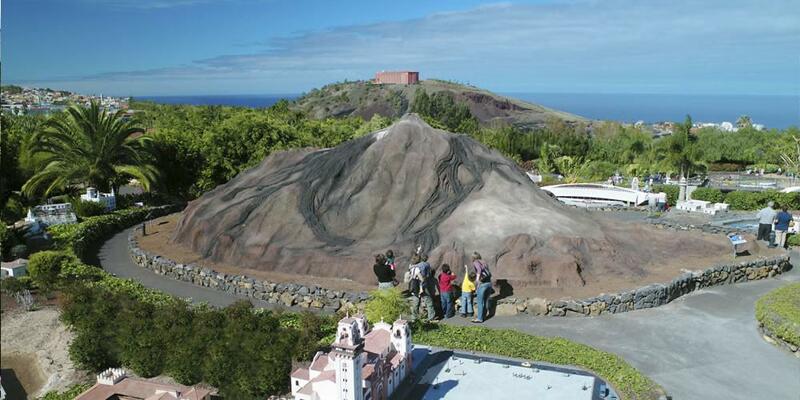 A park about Canary Islands, where you will find exact reproductions in a scale 1:25 of the buildings and most emblematic landscapes of our islands. 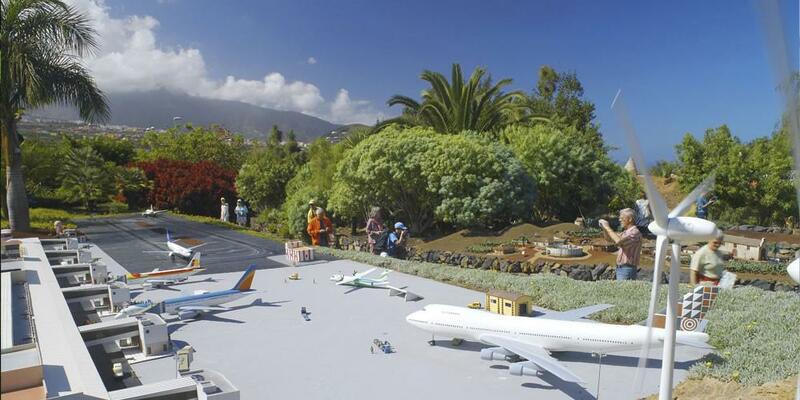 20.000 m2 of beatiful endemic and exotic gardens dedicated to Canary Islands. The history of the islands, the rural areas, and the modern cities compete for the visitors attention. 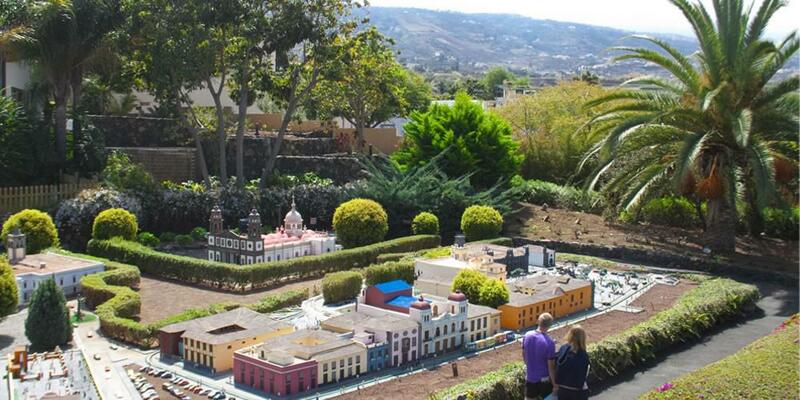 The miniature inhabitants and details are the “must” of PuebloChico… Take your time to discover each of them! An unique walk, through which you will discover our arquitechture, our magnificent nature and our great past and traditions. 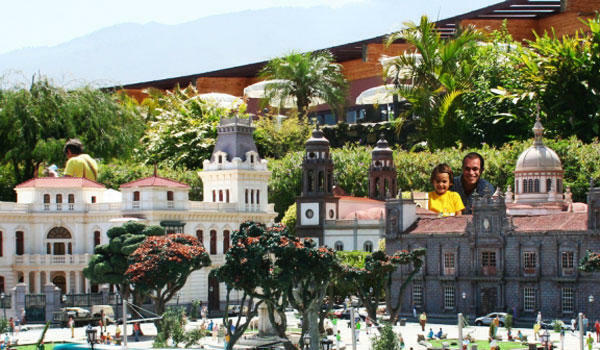 PuebloChico is a great park in a magical ambience. 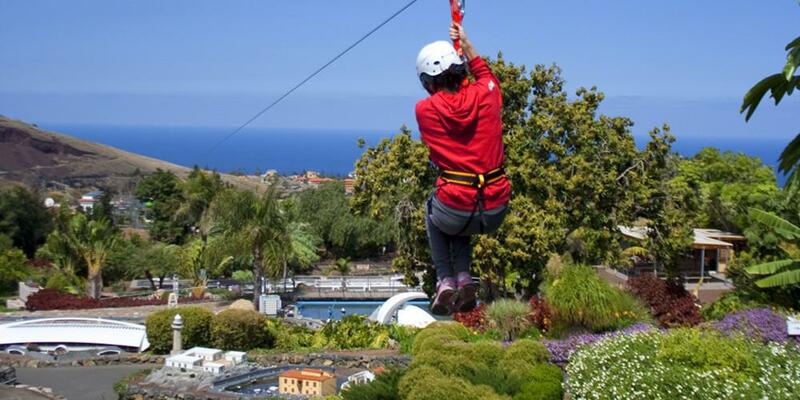 Also at PuebloChico you can enjoy the newest attraction; Flying PuebloChico… 140 metres of zip line so you can Fly over Canary Islands! Even more… at CHirinChico, our canarian market, you can taste the best of our tapas and tradicional cuisine. Also you may buy some typical products and handcraft to take home with you. 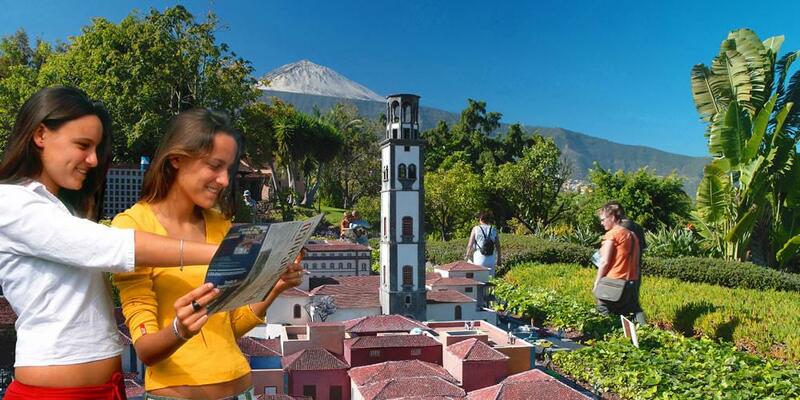 At the international restaurant Secret Garden you can have a relaxed lunch and enjoy the views from our open air terrace: views to the Atlantic Ocean, and the Orotava Valley with the mount Teide just at the top! The Pueblo Chico Park’s opening hours are: 10:00 AM – 5:00 PM daily. We are sorry, entry tickets to Pueblo Chico Park are not available – the Park is permanently closed at December 2015.